Ever scrolled through your Instagram and been uber jealous of the people who seem to travel the world for a living? Ever dreamed about being able to do it too? 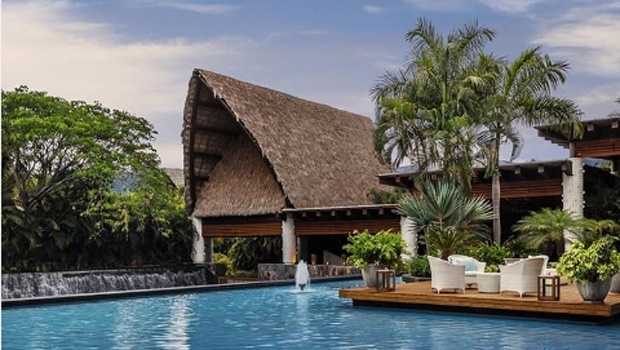 Vidanta, a collection of luxury resorts across Mexico just launched their "World's Best Job'' campaign - and the name says it all. The company announced that they are searching for a brand ambassador who they will pay $120,000 (over R1.7 million) to travel to Mexico, dine at a range of restaurants, and stay at Vidanta Nuevo Vallarta - the most expensive resort in its portfolio - according to a press release issued. The chosen candidate will serve as a social influencer for Vidanta, creating engaging content across channels that will promote their portfolio in a new and experiential way. The purpose of this is to reach a wider audience and inspire onlookers to book a stay at one of the Vidanta properties. And while doing this, the brand ambassador gets to enjoy all the amenities the hotels have to offer -even outside their walls. The lucky person will get to take part in local excursions introducing them to the surrounding culture, which are also available for guests staying on the property. "The lucky applicant will fully immerse themselves in each of our resort destinations; from uncovering ancient Mayan ruins, hidden eateries and underwater cenotes to discovering the hottest new restaurants and nightclubs while attending the biggest shows and entertainment offerings in the area, this is truly the opportunity of a lifetime," says Iván Chávez, Executive Vice President of Grupo Vidanta. Um, yes please?! And literally anyone from anywhere in the world can enter. All you need to do is enter on their website here and put in all your details (including your social media handles) and tell them why you are the perfect person for this opportunity. Then you wait until the 1st of November 2018 to see if they’ve chosen you to be the lucky winner!